We poor saps in the Nation’s Capital suffered over three decades before we could get a professional baseball team. After a decades-long wait, we now anxiously hope for a professional football team. Until then, though….we have the Redskins. Many fans of the burgundy and gold could have been forgiven if they thought there might be a shot at an 8-8 season. After their 3-1 start, some foolishly dreamed about making the playoffs. After watching the 23-0 drubbing at the hands of the Buffalo Bills, coupled with the two previous losses that preceded that debacle- it is time to reassess our goals for the season. Many knowledgeable fans look at the schedule and can’t find more than maybe three additional victories, max. I, for one, have given up on the concept of wins and losses. In all seriousness, I am wondering if they will ever score again. If I took a shot of whiskey for every 1st down they get, I couldn’t even get tipsy. After recording 4 QB sacks though the entire season, the Bills notched 9 against the Skins Sunday. At this point, I’m even feeling differently about interceptions. I find myself being grateful whenever a Redskin quarterback remains upright, period. And even if it’s to the other team, hey- a completion is a completion. You take your small victories where you can get them. You do have to admire how the players are taking their team’s collapse though- with complete and utter selfishness. I like the way our newly fabulous tight end, Fred Davis, celebrates late-game, garbage touchdowns against prevent defenses; like he just made a game-winning catch in the Super Bowl. But then again, that was back when we used to score points. We don’t have to worry about that anymore. And LaRon Landry celebrated after tackling a Buffalo Bills player who had just gotten a first down. Apparently he thoroughly impressed himself with the vicious hit he put on the opponent. But what about the injuries? Oh, that’s right. I forgot for a moment that the Washington Redskins, curiously enough, are the only team in the NFL to have suffered injuries this season. So near term, what do the Skins work on this week ahead of the 6-1 San Francisco 49ers? I mean besides tackling, pass defense, blocking, running, throwing, attempting field goals without getting them blocked and kick returns that go beyond the 15 year-yard line? I would work on their celebrations more. There should be complete unit-wide, choreographed strutting and kick-dancing like the Rockettes. After every single tackle, no matter how mundane, no matter how many yards have just been given up, all the Redskins should take LaRon Landry’s lead and put on a friggin’Christmas show after every play. The offensive players should all work on the Santana Moss football-spin move. This is where after you make a catch, you spin the football on the turf like a top or a gyroscope. This should happen after every play, regardless of its outcome. And as long as we’re paying that expensive NFL entertainment dollar, I want to see Mike and Kyle Shanahan dressed in pink, polka-dot dresses with bright red heels on to match their lipstick. And Dan Snyder should come out of the owner’s booth schmoozing with his high-fallutin’ celebrity guests and sit on the bench with the team instead- wearing a clown nose and gigantic Bozo the Clown shoes. 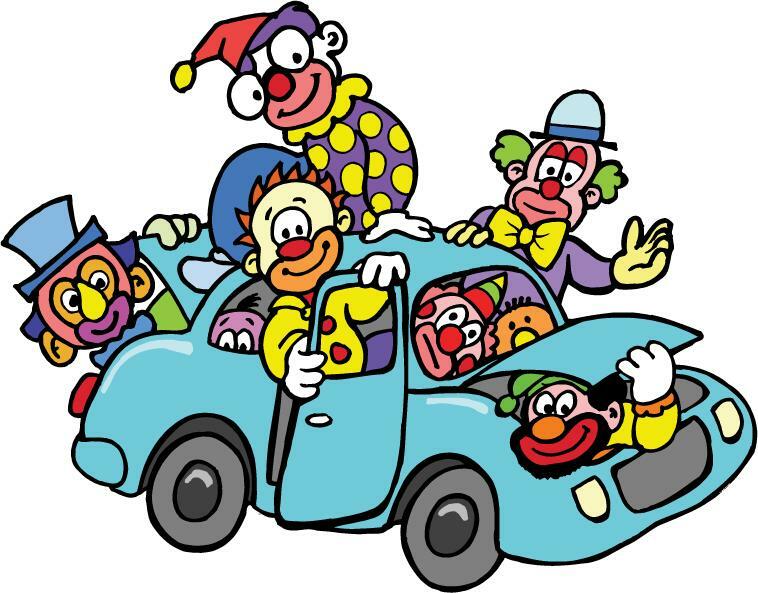 At the start of every game, Snyder can drive a tiny burgundy and gold clown car to the 50-yard line as player after player emerges from the circus vehicle wearing bright orange wigs. As long as you’re going to be a laughingstock, dear Redskins, at the very least, make us, you know- laugh.